We PREPARE & PRACTICE proper risk management & PATIENCE every day for GAME DAY like today. There were a LOT of great trading opportunities today. The market experienced a big drop followed by a nice bounce towards the end of the day. If you’re in the chat room and struggling to capitalize on these opportunities, just reach out via PM during trading hours. If you’re looking to join us in the chat room, we’re running some great specials until the end of the week. 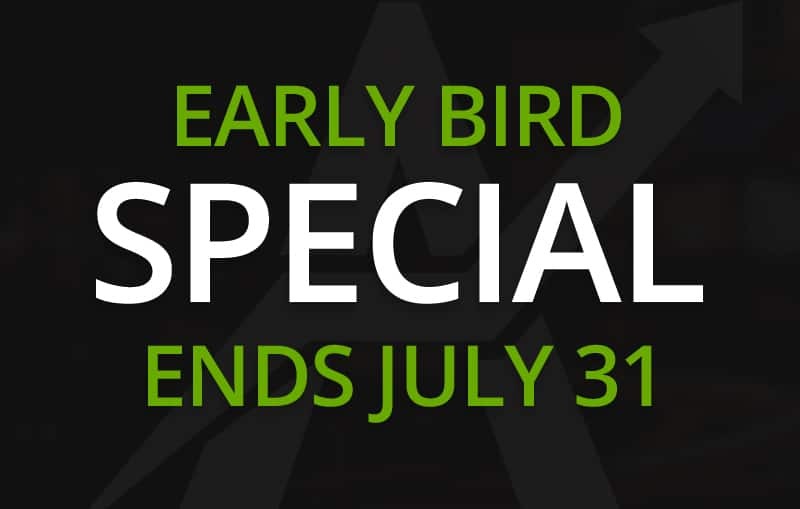 Also, for all of you who plan on attending the 4th Annual Traders4ACause Charity Conference and Golf Tournament, don’t forget to take advantage of the early bird special! Use the code “EARLYBIRD” to save $250 off admission. We’ve been doing this for four years and every year is better than the last. If you want to learn more about the event, click here. 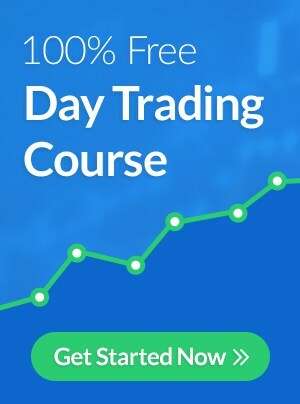 07:47:11 am InvestorsLive: This time could be different ? 07:48:09 am d4ytrad3: and just claim 'accidental' duplicate pr? 07:49:53 am daniio90: the float is around 1M, right? 08:08:31 am InvestorsLive: was coin heads or tails? 08:25:40 am spectre: a nice big blow off candle over 180+ would be sweet. 08:26:00 am InvestorsLive: Really Jim? 08:29:00 am InvestorsLive: I think options priced in a 4% move right? 08:37:14 am bg109: was in another room...somebody said TWTR chatroom dump..wtf? 09:42:15 am bg109: HTZ popping into resist..
09:52:36 am InvestorsLive: PYPL ! 09:52:44 am fahdieno: GNC ! 09:53:36 am twiz5000: Scooped some CAPR here, VWAP seems to be holding..
10:00:40 am JackTheDog: ETrade charts screwing up? 10:05:54 am dovsr181: NVDA maybe this is "the day"
10:18:26 am @MoxReports - Long $DDS. I have new information on Dillard's which I will be presenting in 2 upcoming interviews. FYI. 10:24:22 am Manke: sorry wrong window. 11:36:50 am Arsenal: BA news? 12:10:32 pm AZM: what do you mean by a break later today. to the upside or a break to the downside? 12:33:01 pm teodora: SPY big candles up and down, news? 01:01:07 pm @MoxReports - $DDS is up 4 pts on just 600k volume. as of latest data, there are still 8m shares short that need to cover. as they say in China Ka-Ching! 01:14:27 pm d4ytrad3: wow AMZN! 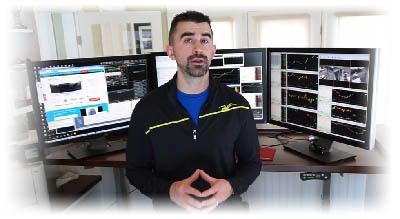 01:17:53 pm InvestorsLive: Goal is to put the best charts and best setups in front of you on days like today, you know what I'm focused on ... $1082 avg but ... all of these are the biggest charts that should be of focus from earlier ... I'm very active today AMD NVDA PYPL FB NFLX JD SQ V circling around them on pops and just going from one to next happy to be on right side and said what I said when I did, unreal. 01:24:18 pm learnToTrade: NVDA 160 !! 01:25:24 pm d4ytrad3: .70 "tick"
01:34:00 pm InvestorsLive: I need to breath, I'll brb. 01:51:44 pm Impertrader: not even this market can keep DRYS down! 02:00:14 pm elkwood66: gold wash lol. 03:52:48 pm InvestorsLive: ESNC someone front runnin' tomorrow? 03:56:32 pm spectre: GNC out most left 1/5 on in case of 11 push right into close. There was a a LOT of great trading opportunities today. Here are some of the top trades and key takeaways from each. If you have any questions, leave a comment below. Note how VWAP confirms the unwind idea (due to daily chart break down). Multiple re-test and fails anticipating green to red and scaling in along the way. Note how last nights resistance provided a good starting point for identifying potential resistance today. Another look at using prior nights resistance as a point of interest when trying to identify potential resistance for a starting point. Once confirmed right, given the good entry I typically scale more aggressively due to the padding. If wrong, I'm only in a starter so it's not a big deal. At that point your risk management comes into play. Yet another one driving the point home as to how charts can help you anticipate entries. Be patient waiting for things to come to you. If you're early be wrong, gives yourself the best shot at nailing the proper entry later. Best to move on so you don't exhaust yourself out of the name and miss the trade completely. Besides the morning squeeze note how the midday weakness confirmed by VWAP resistance provides you with proper risk vs. the potential reward of an unwind. 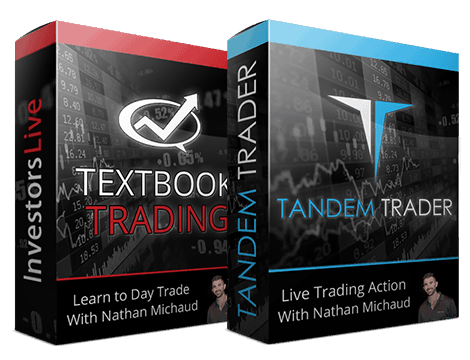 You should see the basketball analogy we cover in Tandem Trader there between 10AM and noon. Very nice patience on this trade one of my better trades of the year. Very happy letting this winner work. Obviously it's lower on earnings but anyone that holds into an earnings report like this might as well head to the casino! Nate, in the recap video when talking about FB, you said you were waiting for a washout at 8am, and in chat log you called it the 8am shuffle. Would you mind explaining what you mean by these?